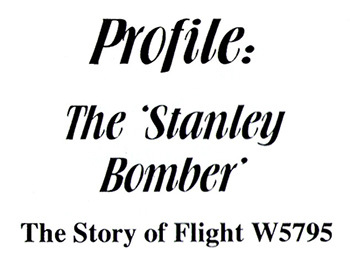 Does anyone in Mapperley or West Hallam remember the ‘Stanley Bomber’? 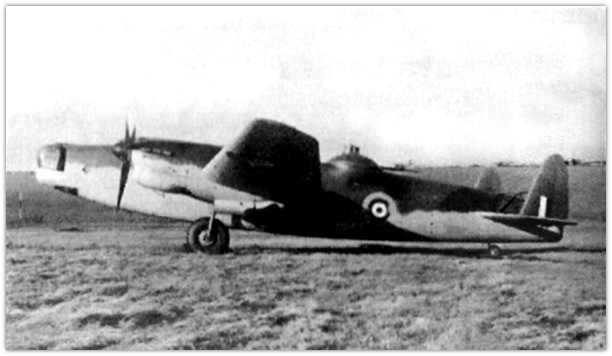 On 12th July 1942 an experimental aircraft, Wellington bomber W5795 took off from RAF Boscombe Down with a crew of four and one civilian test observer. By this stage of the war Wellingtons were gradually being replaced by heavier bombers like the Stirling, Halifax and Lancaster but this aircraft was different. It was fitted with a pressurized cabin and was to carry out high altitude flight tests. Just after 7.30 pm the aircraft was flying at over 35,000 feet and approaching Stanley. Trouble developed with starboard engine and a propeller broke off, penetrating the pressure cabin. There followed a massive explosion, destroying the aircraft and killing all on board. Wreckage was scattered over a wide area but the main part of the wreckage came down in a field just off Dale Road in Stanley. Three bodies were found in the remains of the pressure cabin, one close to the main wreckage and the fifth some distance away in a cornfield. Because the flight was experimental the wreckage was closely guarded until the bodies had been removed all pieces of the plane had been recovered. No reports of the incident were carried in the Press at the time. On 11th July 2004 a Memorial tablet will be unveiled in the churchyard of St. Andrew’s Church, Stanley as a commemoration of the bravery of these five men. Their work was as important to the war effort as direct operations against the enemy. It led to the next generation of high flying military aircraft but perhaps even more important, to the development of pressurized passenger cabins which made possible high long distance commercial flights after the war. These and other pioneers led the way to the inter-continental flights of the Lockheed Constellation in the 1950’s and to the transatlantic jets beginning with the De Havilland Comet and later the Boeing 707. We take for granted our holiday flights in (relatively) comfortable aircraft but our comfort has been won by people like the crew of W5795 being willing to risk - and give - their lives. So it is fitting that at last their sacrifice will be properly recognized. Stanley Churchwarden Bernard Walters and local historian Terry Hall have worked hard with support from Rev. Simon White to arrange this commemoration. The RAF have been invited to make a suitable flying contribution the event. So - do any of our older residents remember this incident? Some local people, perhaps some now living in West Hallam or Mapperley went to try to help the crew. If you or someone you know has an interesting story to tell of this event, Terry Hall would like to hear from you. There will be a commemorative booklet containing eyewitness accounts of the incident. Donations towards the cost of the commemoration event and future upkeep of the Memorial will be welcome.